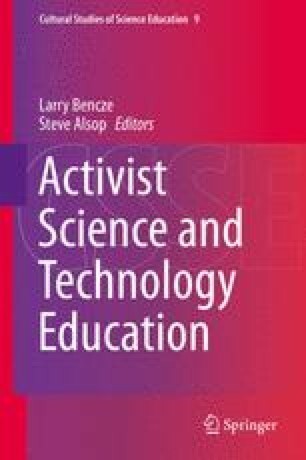 After making the case for an action-oriented science curriculum as a major component of education for responsible citizenship, the author contends that building such a curriculum has four key elements. First, learning about the issues, that is, focusing on the science and technology aspects of important socioscientific issues (SSI), recognizing the social, cultural and economic contexts in which they are located, developing the nature of science knowledge that builds robust understanding of contemporary scientific practice, and acquiring the media literacy necessary to access and read with critical understanding a wide variety of information sources. Second, learning to care about issues and the people impacted by them, including a focus on dealing with controversy, addressing values and developing concern for the views, needs and interests of others. Third, engaging and managing the powerful emotions often generated by SSI. Fourth, learning about sociopolitical action, taking action and evaluating action. For this key fourth element, the author advocates a 3-stage apprenticeship approach comprising modelling, guided practice and application.